Please note that a logistical issue will prevent us from dispatching new orders through our website until 29th February. You may still place orders and we will immediately acknowledge them, then rush your purchaes to you as soon as normal service is resumed. We apologise for any incenvenience. We use a mixture of UK Royal Mail/Post Office for small packets and for larger orders, especially vases, a courier service. 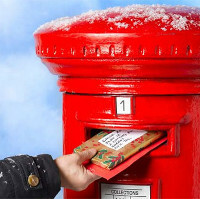 Courier services will generally take 24-48 hours in UK and 3-5 days for outside UK. However, at Christmas peak time, we still advise the order dates above, just to esnure we can get your order delivered before Christmas Day. We will, of course, continue to take and process orders taken right through the Christmas period. Several of my students are left-handed. 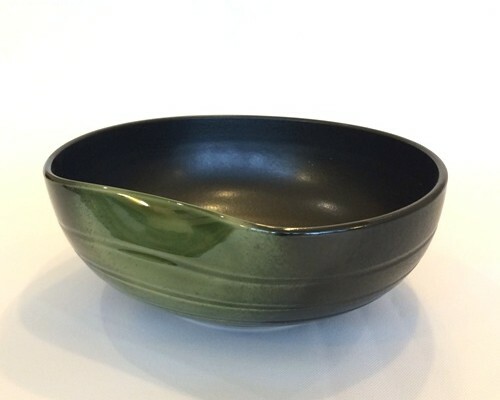 And we’ve recently had enquiries from customers asking if we could supply left-handed hasami. Well, I’ve found the perfect solution. I have just received an innovative new Japanese-made hasami which is a modern alternative to traditional hasami. It features teflon-coated, hardened steel blades with easy-grip, thermoplastic handles for comfort and control. Right-handed? Don’t fret! the very same modern hasami are available in both left-handed and right-handed versions. We know many of you have been patiently awaiting our new arrivals and at last, two months overdue, they’ve arrived. You can find them all in our shop, in the vases section. We know they’ll be selling fast, so don’t delay. Our new range of Ikebana vases has finally arrived…too late for last Christmas and almost just in time for next Christmas, but better late than never. Oh, and we’ve already started preparing our next order…lesson learned! Three new vases have arrived from Japan . We are delighted to be attracting increasing numbers of customers from all over the world and as we do so we will continue to increase our range of authentic Japanese vases, kenzan and hasami. 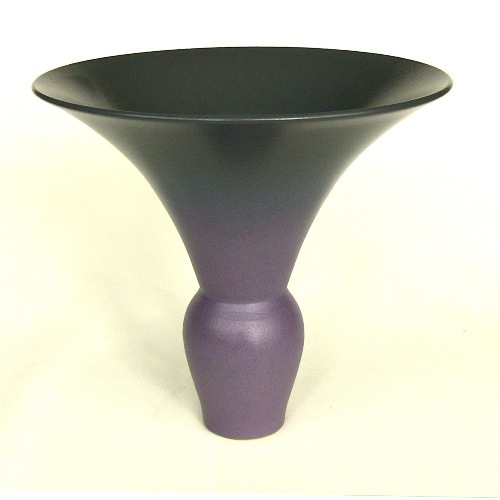 Keith’s new favourite just now: the rich, intense black-to-plum-purple coloured rikka and shoka vase. Traditional shape and very traditional deep purple colour (ko-murasaki), it is intense and elegant. And just as elegant and stylish is this diminutive green urn, that needs only a single stem or two and a little foliage to making a perfect arrangement for the smallest of spaces or a grand dinner table. These two rustic red-brown vases are great for creating a common theme in any space: use either on their own, in an alcove or for a dining table, or mix and match these and maybe add V1107 to create a follow-me theme in a larger room or hallway. We have seen huge demand for our recently added, smaller moon vases V1045 (on the right of this picture) and our stock has sold out already. We have placed an order for more which should be with us in early April. If you would like to reserve one of these popular moon vases, please contact us and we’ll be happy to add you to our waiting list. Our new vases stock has finally arrived, and over the next week I’ll be adding them to our web shop. First to go on is a smaller moon vase, which many of you have been asking for recently. We first stocked moon vases 10 years ago, when we launched our first website and they’ve been in demand ever since. 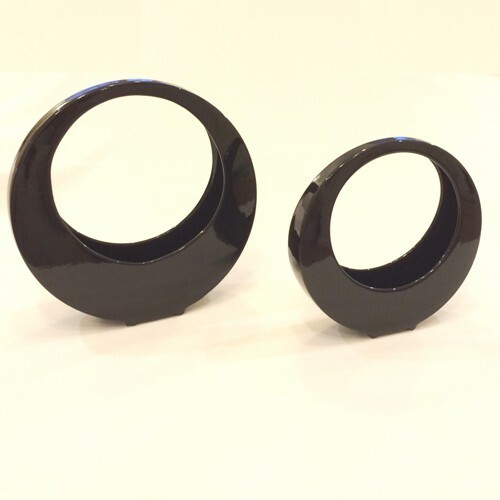 Identical to its larger sibling, this smaller ceramic moon vase will take the same rectangular kenzan (94mm x 40mm) and a 43mm round but you will need to take the rubber mats off to fit them in. You might also like to try the smaller, mini kenzan if you are creating a really delicate flower arrangement.